A pendulum swinging back and forth for a week crafted the colourful recession in this table, designed by Austrian studio Mischer'Traxler. 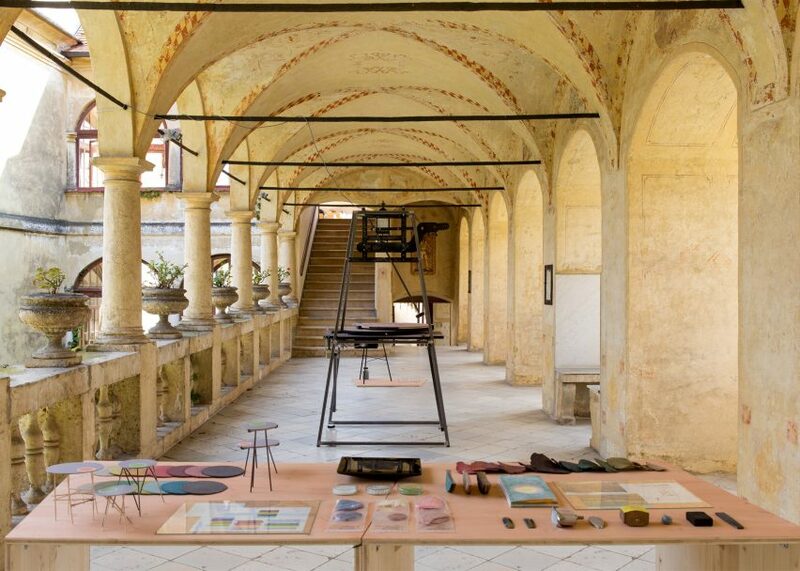 The designers created the multilayered table, named Isochrone, as part of a residency at Schloss Hollenegg – an 850-year-old castle in the Austrian countryside, just outside of the city of Graz. 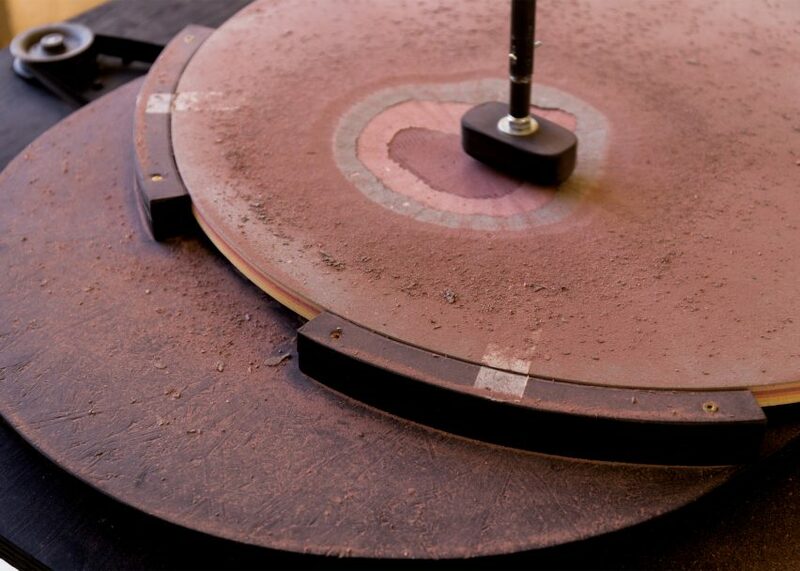 The table features a hollow in its surface that was created by the incessant movement of a specially made pendulum over the course of a week. While the pendulum was swinging, the device also twisted the tabletop from side to side, giving the hollow its uneven appearance, like an aerial view over a watering hole. 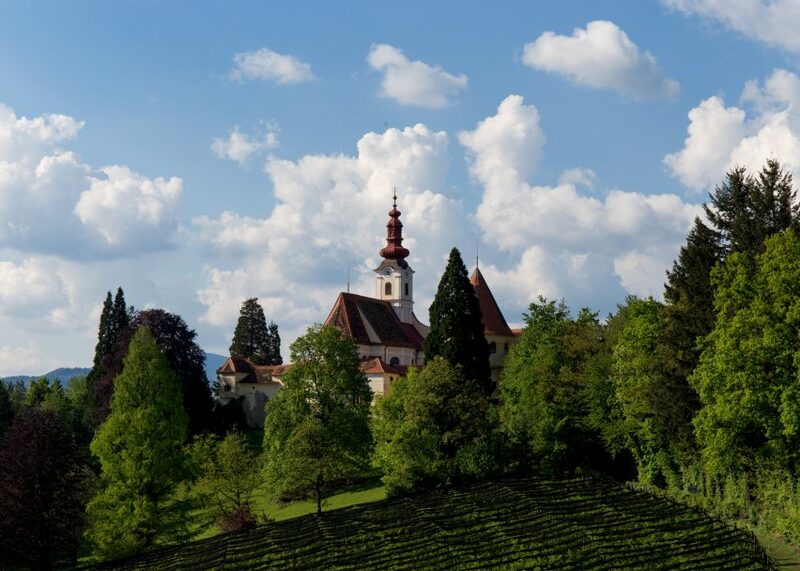 Curator Alice Stori Liechtenstein, who founded the Schloss Hollenegg for Design residency, had asked the duo to create a work for the castle responding to the theme of "slow". This motivated Mischer'Traxler to bring slow movement into the largely static exhibition, while also drawing on the heritage of the castle. 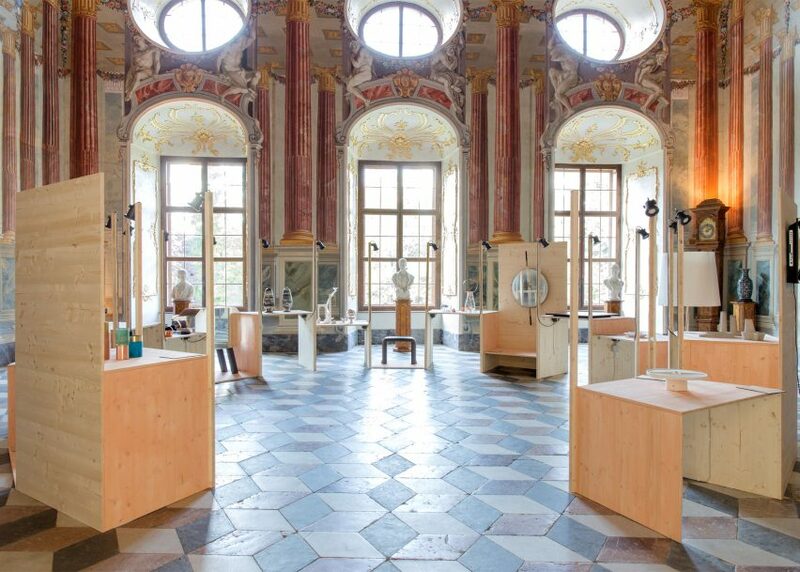 "When we walked through the castle and its collections, it was like digging in time and finding out more about the past of a place," studio co-founder Thomas Traxler told Dezeen. "We thought this kind of digging in time is something we would like to conceptually put into our project." "And we decided to channel it into a table because in the collection of Schloss Hollenegg they have a lot of small side tables, some of which are even bowl-shaped." Mischer'Traxler, which Traxler founded in 2009 together with Katharina Mischer, often creates kinetic installations like the seesawing Equilumen light. 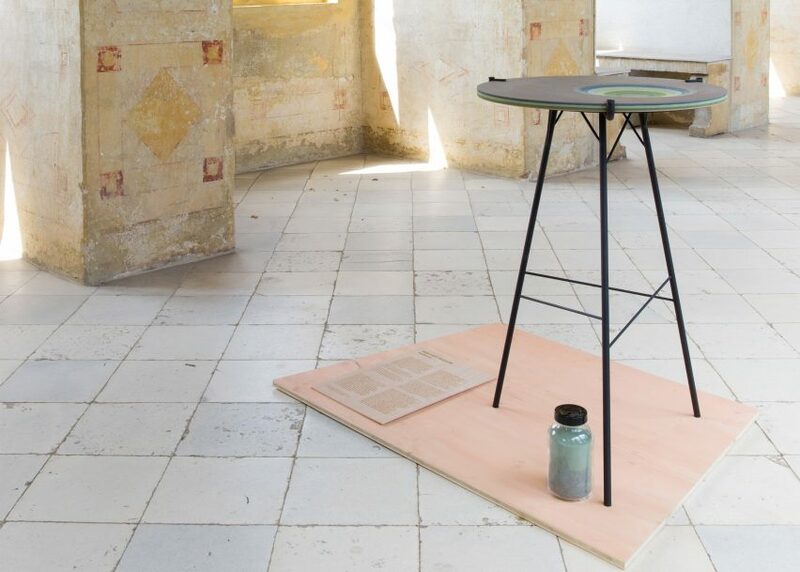 The duo made the Isochrone's circular tabletop from a custom-designed medium density fibreboard (MDF) that combines sawdust, paper pulp, glue and pigments. A cross-section of the material shows a spectrum of seven different colours – one for every generation of the Liechtenstein family that has lived in the castle. 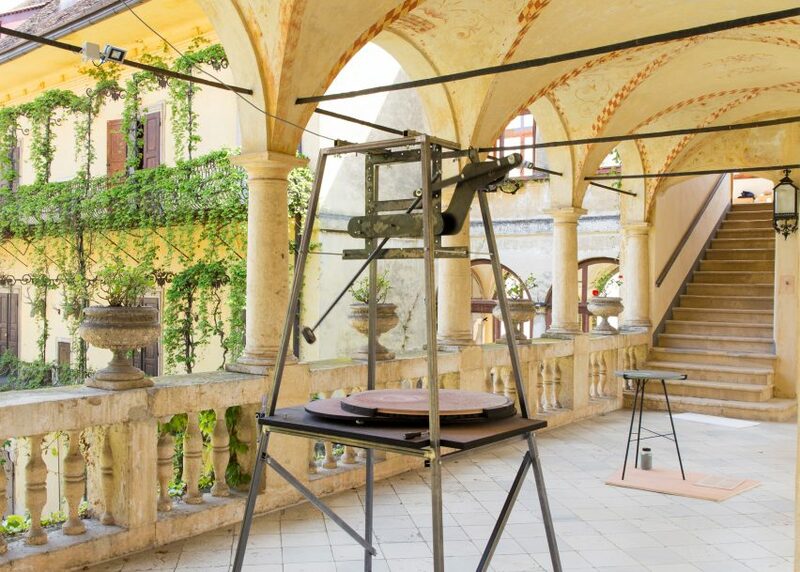 For the exhibition at Schloss Hollenegg in May, the designers displayed the swinging pendulum alongside a finished, smaller version of the tabletop that they had prepared earlier. The exhibition also showcased works from 21 young designers, including two others who had taken part in the residency, which was started in 2015 to support both established and emerging designers. 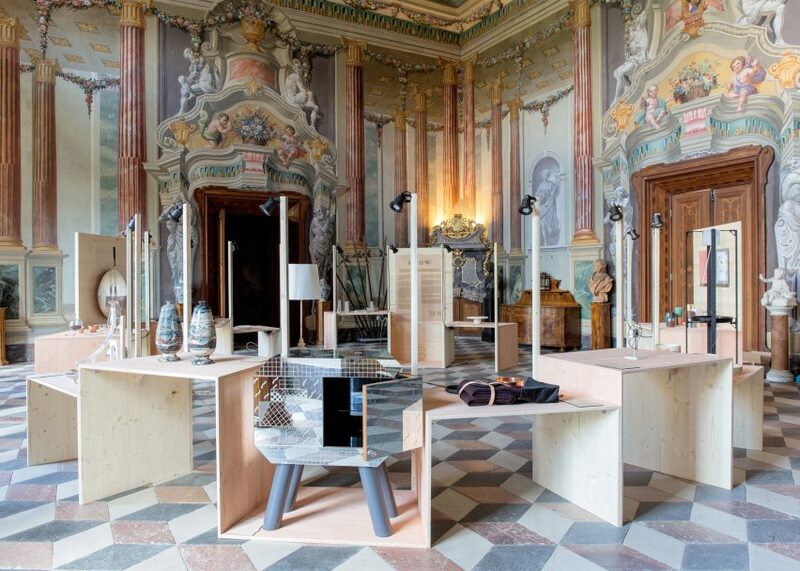 The table, and the pendulum used to make it, is currently on display at Vienna Design Week. There, the pendulum is in motion creating a new tabletop with ten layers to commemorate the tenth anniversary of the festival. Vienna Design Week runs until 9 October 2016. Also at the festival, Austrian designer Thomas Feichtner collaborated with silverware manufacturer Jarosinski & Vaugoin to create a set of minimal tableware featuring washes of gold.